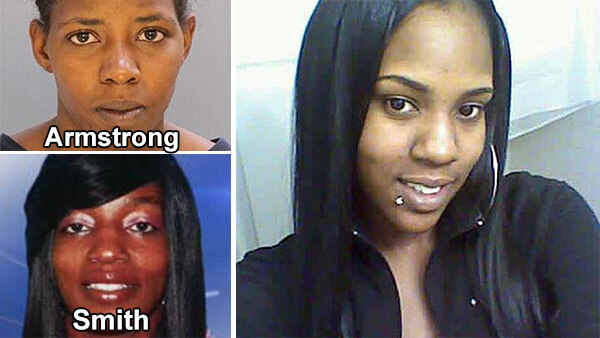 PHILADELPHIA -- Police have now charged two women with murder in the death of Toy Charda Bryant, who was found handcuffed, stabbed, and shot in Fairmount Park. Charges against 28-year-old Shintele Smith of the 2600 block of South Bailey Street were announced on Tuesday afternoon. 39-year-old Shavon Armstrong, also known as Palliadium Smith, of Wilkes Barre, Pa. turned herself in to police headquarters on Saturday. Both women are charged with Murder, Criminal Conspiracy, Kidnapping, Robbery, and related offenses. The body of Toy Charda Bryant, 26, of Chester, Delaware County was discovered around 8:15 a.m. last Tuesday in the 5300 block of Georges Hill Drive, near the Mann Center. Investigators arrived to find Bryant, who had been handcuffed. Philadelphia police are investigating the death of a woman who was found handcuffed and stabbed in Fairmount Park. Police say she apparently had been tortured at first with a series of stab wounds and a cloth stuffed in her mouth. She was also beaten and shot in the back of the head. She was found face down and pronounced dead on the scene. Police say it appears Bryant owed her assailants $800 and could not pay up. They also say it turns out the three women were friends. "It's unbelievable that someone was killed over this," said Capt. James Clark. At the time, police said they did not believe Bryant was killed at the Fairmount Park location where she was discovered. They believed she was murdered and then moved to the spot near the Mann Center. 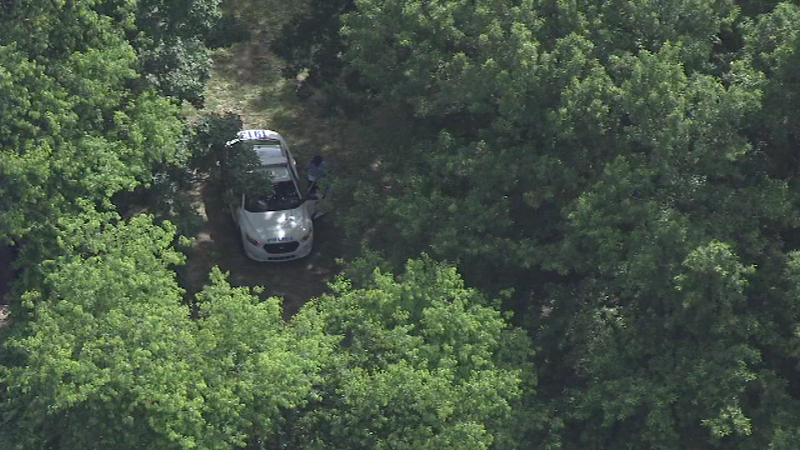 Police are investigating the discovery of a woman's body in Fairmount Park. She had been handcuffed and stabbed. Investigators also say it was clear from defense wounds on her body that Bryant fought hard to defend herself.